Every week, we provide you with a new and free Divi layout pack which you can use for your next project. Along with every layout pack, we also share a use case that’ll help you take your website to the next level. 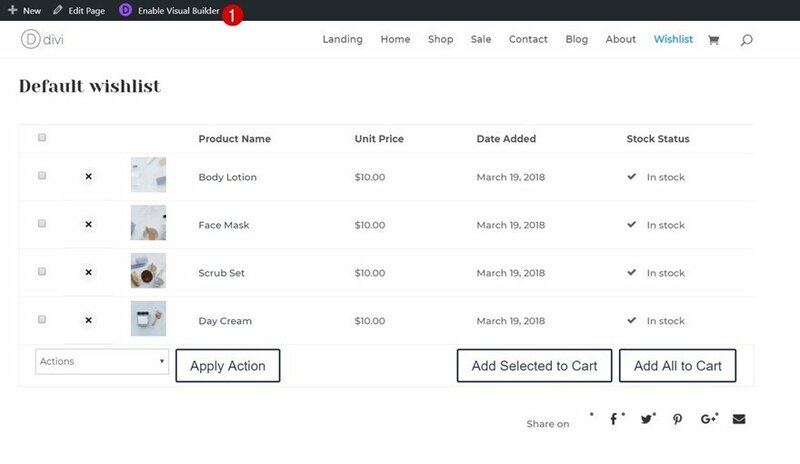 This week, as part of our ongoing Divi design initiative, we’re going to show you how to add product wishlists to your online store using Divi’s new Cosmetics Shop Layout Pack. Adding wishlists to your online store helps your visitors keep track of their favorite products on your website and help you increase conversions on these products. 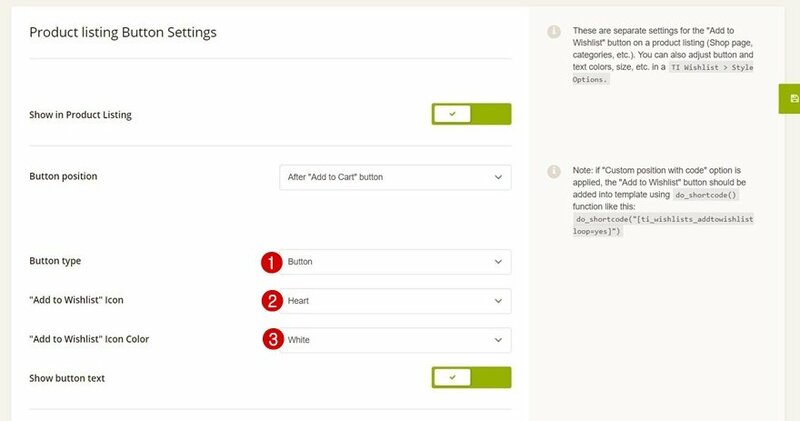 In addition to the Cosmetics Shop Layout Pack, we’ll also need the free WooCommerce and WooCommerce Wishlists plugins. Start by downloading WooCommerce by going to the following page and clicking on the download button. 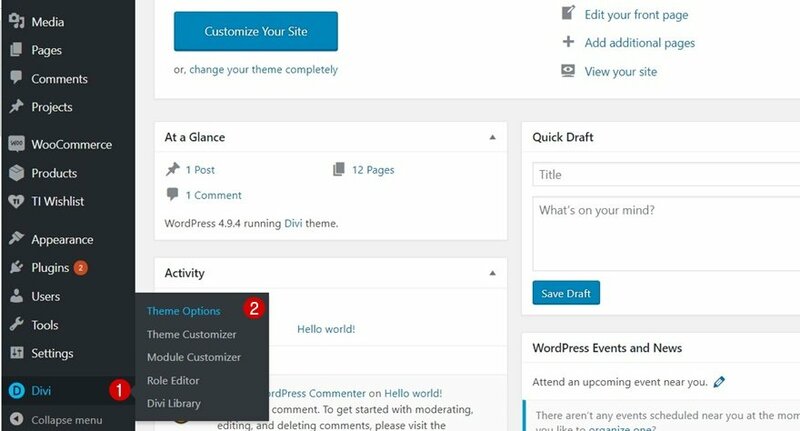 Then, go to your WordPress Dashboard > Plugins > Add New > Upload WooCommerce and activate it. 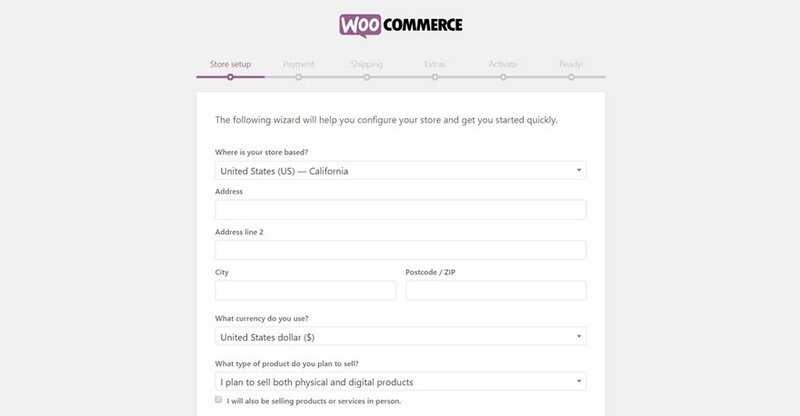 When installing WooCommerce on your website for the first time, you’ll have to go through the setup (or you can skip it for now). We’ll also need the WooCommerce Wishlists plugin on our WordPress website. Again, go to your WordPress Dashboard > Plugins > Add New > Upload the WooCommerce Wishlists plugin and activate it. Continue to the next step, the button settings, and modify the button position and copy to your needs. 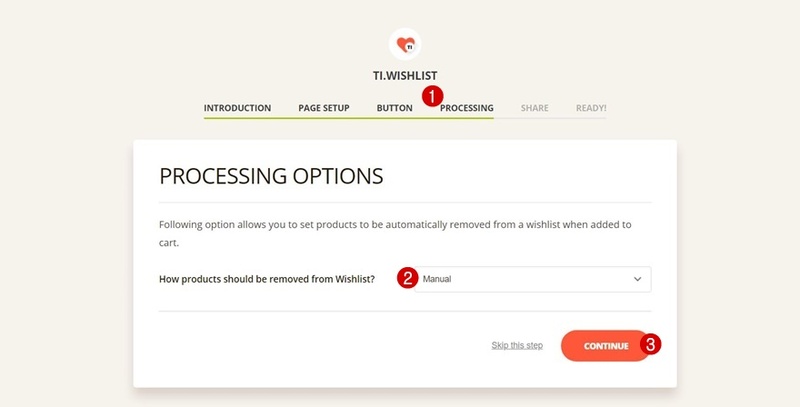 In the processing step, you can choose whether you want products to be removed automatically or manually. If you’re going to allow visitors to remove the items whenever they feel like it, pick ‘Manual’. 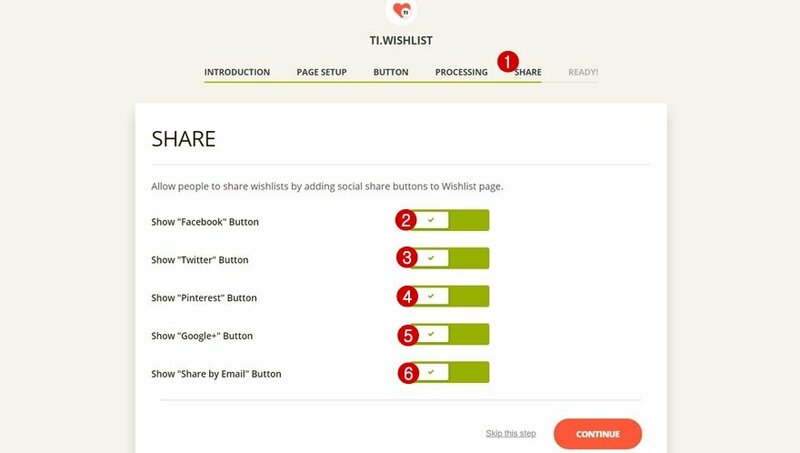 Lastly, your visitors will also be able to share their wishlist on their social networks. You can enable or disable whichever social network you want it to count for. 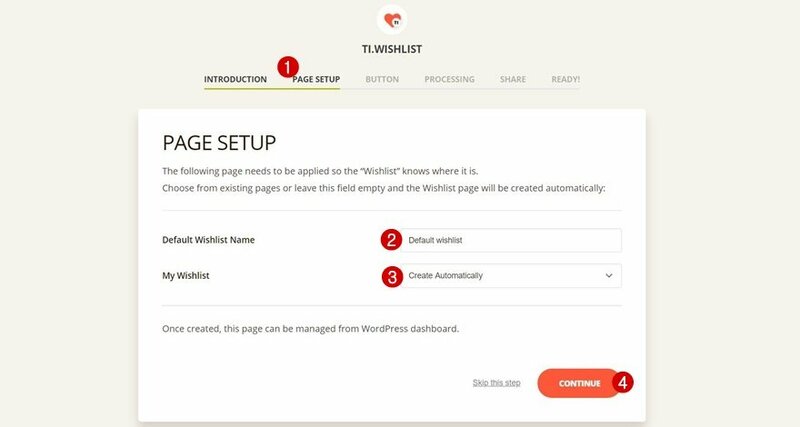 We’re going to need to make some additional setting changes to the WooCommerce Wishlists plugin by going to your WordPress Dashboard > TI Wishlist > General Settings. 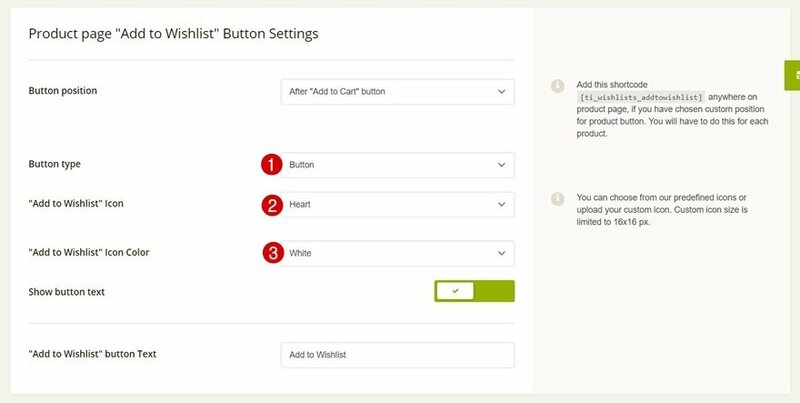 Move on to the ‘Product Listing Button Settings’ part and apply the same settings to the button as done before. 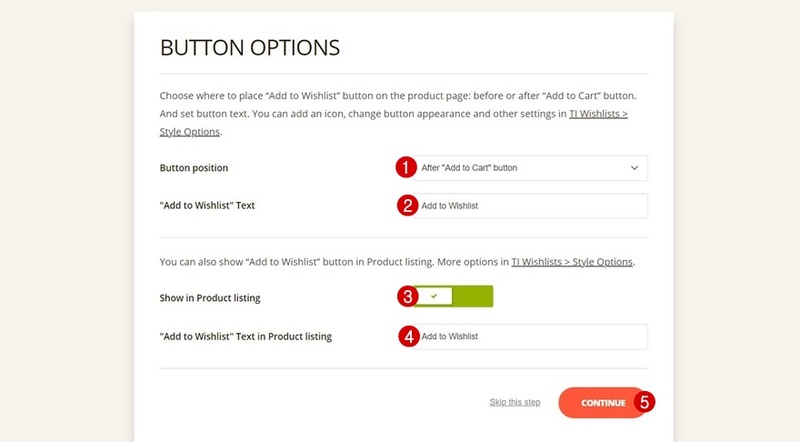 Within the Wishlist Product Settings, disable the ‘Show Add to Cart Button’ option. This button would normally appear right next to each one of the products within the wishlist. Since there’s already an alternative there to add the products to the cart (by selecting them), we’re going to disable this option. 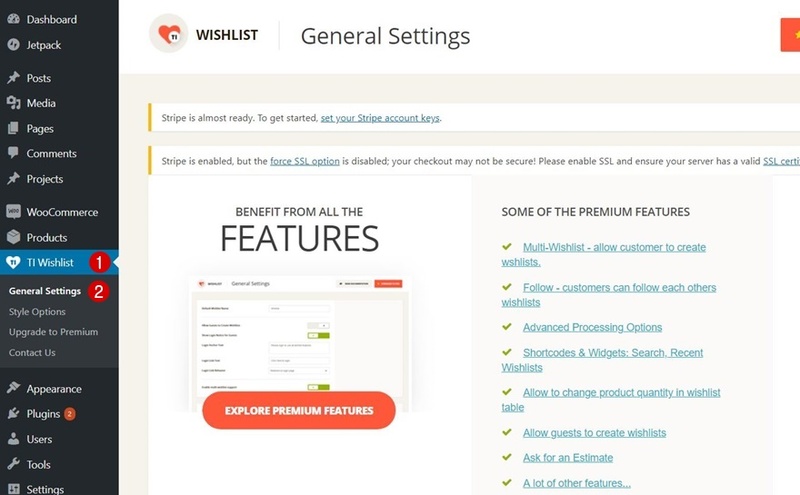 The wishlist plugin has automatically generated a wishlist page on your WordPress website. This page isn’t included in the Primary Menu yet. To add this page, navigate to Appearance > Menus. Then, select the Wishlist page within your pages and add it to your menu. Save your menu once you’ve completed this step. Now that we have made all the needed changes to the WooCommerce Wishlists plugin, we’re ready to add the various products to our website. Create as many products as you want and repeat the same step for each one of them. 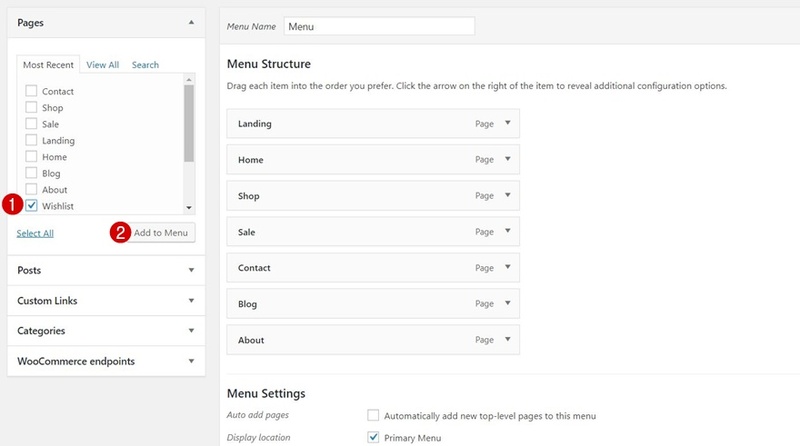 Each product needs a Fullwidth Page Layout in the Divi Product Settings as well. If you haven’t change the Theme Accent Color and Typograhpy yet, go ahead and do that within the Theme Customizer by navigating to Appearance > Customize. Choose ‘#2f3854’ as your Theme Accent Color by going to General Settings > Layout Settings. The wishlist page looks by default a bit plain. Luckily, we can modify this page using the Visual Builder. Before we open the Wishlist page with the Visual Builder, we’re going to save some sections of the Contact page to our Divi Library so we can reuse them on the Wishlist page next. 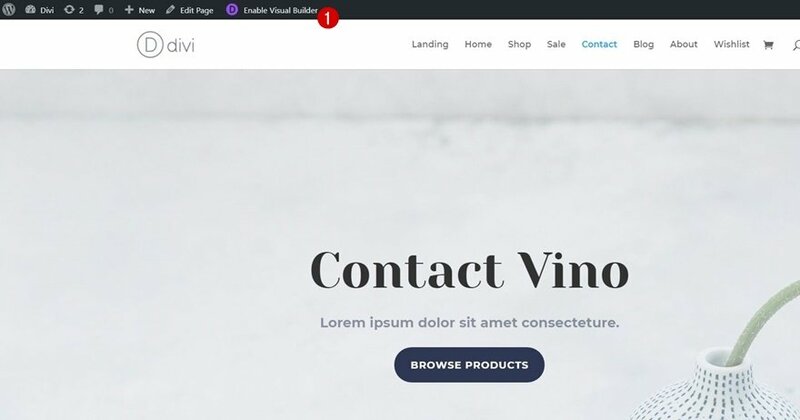 Start by opening the Contact page with the Visual Builder. Then, save both the hero section and the subscribe section to your Divi Library by clicking on the icon marked in the print screen below, giving your layout a name and clicking on the ‘Save to Library’ button. 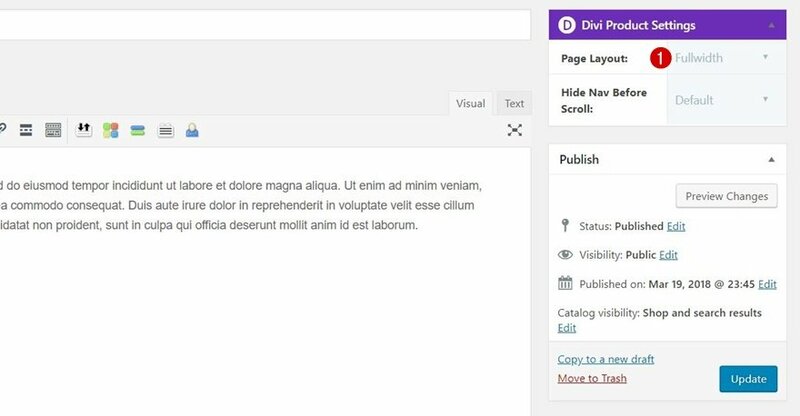 Now that we have these two sections within our Divi Library, we can go ahead and open the Wishlist page with the Visual Builder. Add both saved sections within your Divi library to this page and put them in the right place on your page. To make the wishlist show up immediately on the page, we’re going to reduce the padding of our hero section to ’30px’ for both the top and bottom. WooCommerce and WooCommerce Wishlists are both third-party plugins. 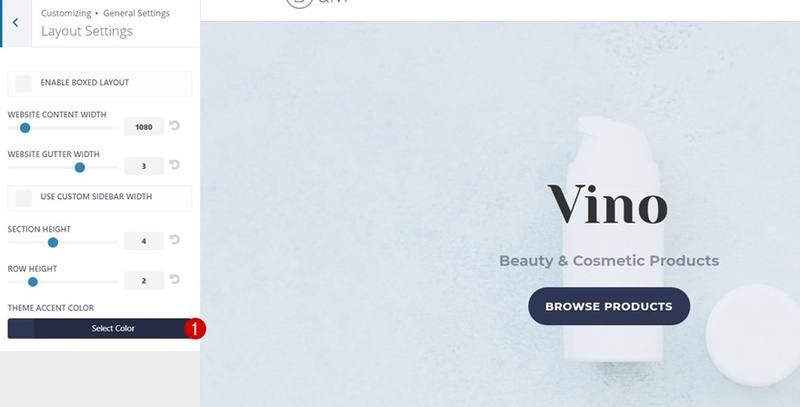 We can unfortunately not make any changes to the buttons and product pages with the Visual Builder. We’re going to use some custom CSS code lines instead to make sure the buttons and the product page match the Cosmetics Shop Layout Pack. 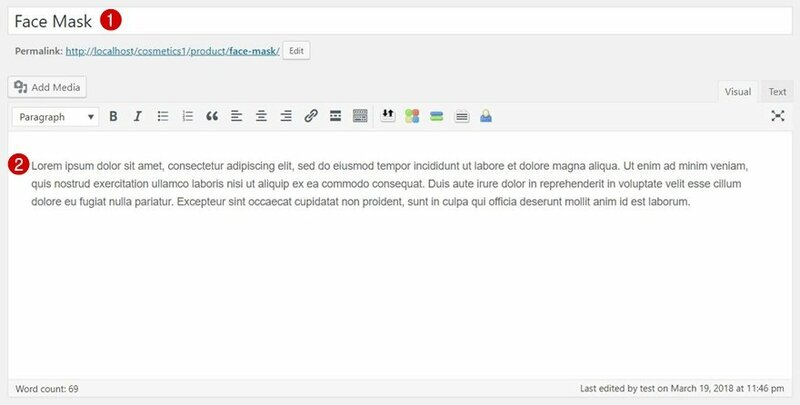 To add these CSS code lines, go to your WordPress Dashboard > Divi > Theme Options. 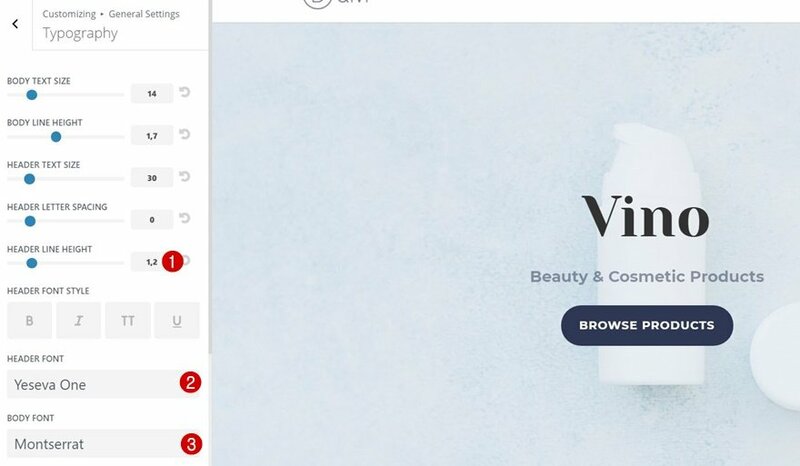 In this post, we’ve shown you how to add product wishlists to your website that are unique to each visitor’s favorite products. This use case is part of our ongoing Divi initiative where our design team shares a new layout pack with you each and every week. If you have any questions; make sure you leave a comment in the comment section below! 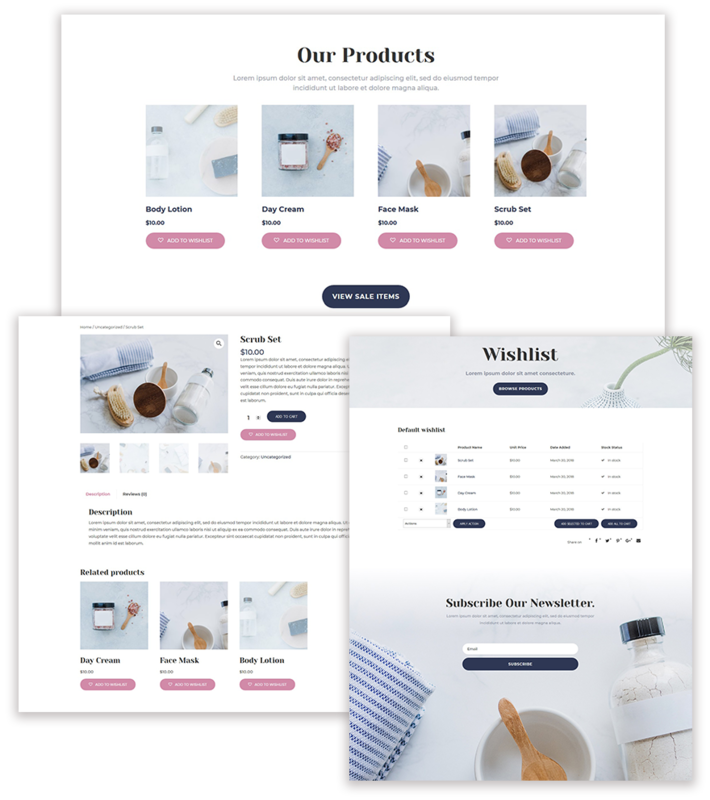 The post How to Add Product Wishlists to Divi’s Cosmetics Shop Layout Pack appeared first on Elegant Themes Blog.